Canadian distance runner Cam Levins is rebounding from foot surgery that sidelined him for virtually all of last season, and will make his half-marathon debut at the Toronto Waterfront Marathon this Sunday. 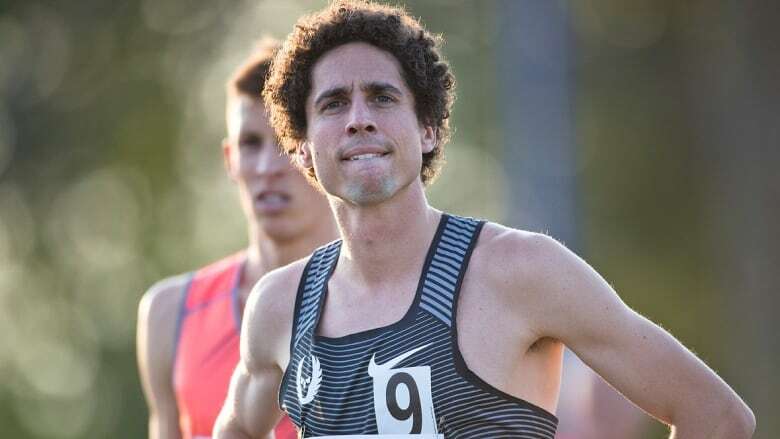 Canada's Cam Levins was famous for his extreme mileage, running three times a day and covering as many as 300 kilometres a week. But around this time last year, the 28-year-old from Black Creek, B.C., was limited to five minutes of running, every few days. Levins is rebounding from foot surgery that sidelined him for virtually all of last season, and will make his half-marathon debut at the Toronto Waterfront Marathon this Sunday. It's another step toward his goal of running a full marathon next year, and part of a long road back to full health. "It was definitely tough going from essentially pretty good fitness and full mobility to having surgery and being stuck on crutches and unable to do anything. And then starting back running, running five minutes at most, that was very, very difficult for me. "It's definitely nice to be where I am now, and I know I still have a ways to go, but I'm having a good time being able to [run] at all. In some regards, this is a reset button on my career." Levins was one of Canada's top distance runners over several seasons. He won both the 5,000 and 10,000 metres at the NCAA championships in 2012, won bronze in the 10,000 at the 2014 Commonwealth Games, and broke the Canadian 10,000 record in 2015. But a freak accident at the 2015 Canadian championships ruined his left ankle and wiped out much of the 2016 and '17 seasons. He fell at the finish line of the 1,500 metres when another runner plowed into him from behind. The nagging injury bothered him for months, and then tests on his foot in the summer of 2016 finally revealed a torn peroneal tendon, stress fractures in his Navicular and Talus bones, a bone spur and bone chips. Recovering from surgery, and still on crutches, he barely watched the Rio Olympics. "The Olympics were difficult for me, just being in the situation where I was like 'I'm on crutches, I can't do anything,'" Levins said. "I envied people being able to run at all, so to watch others being able to do what I like was difficult." He was finally able to resume running — in frustrating five-minute spurts — in November. Levins recently left the Nike Oregon Project, where he trained with British star Mo Farah under coach Alberto Salazar. While he and his wife Elizabeth, a pharmacist, still live in Portland, his college coach Eric Houle at Southern Utah University is now writing his workouts. Together, Levins and Houle have amped the mileage back up — he's resumed his gruelling three-runs-a-day regime — and have added a greater emphasis on weightlifting. Levins said he'd always planned on attempting a marathon, and Jerome Drayton's 42-year-old Canadian record — the oldest on the books — is certainly appealing. "I would love it," Levins said. "It just depends on what sort of shape I'm in going into it, but yeah, that certainly will be on my radar." He's targeting the Scotiabank Toronto Waterfront Marathon next October to make his debut in that distance. If all goes well "that could change the course of my career," Levins said. The Canadian half-marathon record is one hour one minute 28 seconds, set by Jeff Schiebler in 1999. 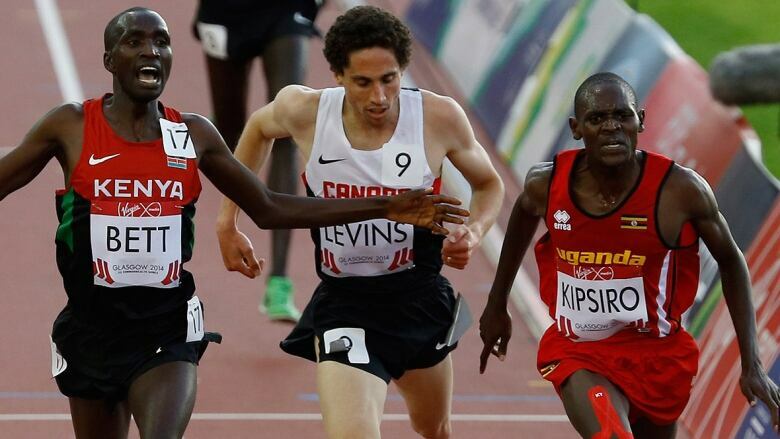 Levins won the Canadian 5K road racing title last month in Toronto. He said he isn't looking to go "crazy fast" in his half-marathon debut, but is using the race more as a chance to learn about at least part of the marathon course ahead of next year, and an opportunity to qualify for the world half-marathon championships. "If I end up feeling good, and push a little bit faster, then that's great," he said. He's also looking forward to racing with his older brother Jordan, who Levins has been coaching for the past several weeks. He has no plans to close the door on his track career just yet. He'd love to race for Canada at the Commonwealth Games in Australia in April, but doesn't believe he can achieve the qualifying standard before the window closes at the end of December. While Levins isn't completely back in top form, he's in a "situation where I'm happy now." "I'm back with my college coach," he said. "It's definitely given me an understanding of my body's limits, and it's definitely given me a different outlook on the full experience, and what running means to me. I definitely feel just glad that I can go out for a run every day right now, I'm thankful for that."